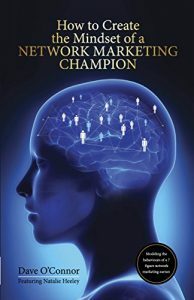 All extracts are taken from the “How to create the mindset of a NETWORK MARKETING CHAMPION” book. Published by Dreams Publishing Copyright © Dave O’Connor 2015. Copyright laws apply. TODAY IT’S ALL ABOUT ACTION – I believe we have a divine destiny and a lot of people will sell out on that along the way. You can look at the people who have really shaped our world positively, like Richard Branson, Oprah Winfrey, Bill Gates, Gandhi, Nelson Mandela, Warren Buffett. But then you look on the flip side of the human coin and you have people who have a hard time getting out of bed in the morning. What is it that makes the difference? I would say it is the commitment to following your dreams, to following your heart and taking consistent action every day in the direction of your vision. Most people give importance to things that really don’t matter in the real scheme of things and they are just excuses for not living up to their true potential. They will always appear to be busy, but they don’t score the goals that matter. They are so busy being busy that they never take the inspired, bold action that could change their lives. IT IS LIKE TRAINING IN THE GYM -you can’t go to the gym without a plan. Training without goals is meaningless because you have nothing to aim for, nothing to strive for, and no sense of purpose. How can you have passion and enthusiasm in your training, without the motivation to improve? It is not enough to go to the gym and say, ‘Someday, I want to be in the best shape of my life,’ that is far too vague. You need small, daily goals to give your workouts meaning and intensity. From now on you are going to go to the mental gym every day and you are going to take specific action that carries you closer to your vision. The world we live in is competitive, stressful and demanding. Strategies and lifestyle choices that were applicable in the past are no longer relevant. In modern life, general business and Network Marketing, you either expand or you expire. To compete you need to do more, perform better and get results faster. There is a difference between what I call high leveraged action and low return action. Do you spend your time on the high leveraged action that carries you in the direction of your goals and your vision? Or are you easily distracted by low return action? How much time, on a daily basis, do you waste on watching television shows that don’t really serve you, or on Facebook or browsing on your laptop or phone? Do you get caught up with endless petty problems that tie up all your energy? How many hours a day or a week do you spend on computer games? Are you a slave to email? I’m not saying you can’t have downtime. We all need to chill and follow the pursuits that we love. But we are all guilty of treading water when we should be swimming towards our goals. We are all masters of self-deceit. We can justify what we do and why we do it and that is what must be overcome if we want to make our time and actions count. You need to prioritise your actions, focus on your most productive activities and exclude and ignore the lesser ones. I want you to be totally honest now and consider what activities you do on a daily basis that will carry you towards your vision and destiny? Are most of your activities, high leveraged action? If not. Why not? I know that there is always stuff that needs to be done, but you must learn to delegate and to look for alternative ways to free up your time so that you can use it more productively. Are you playing to your strengths or are you spending way too much time on things that really don’t need doing? This is relevant, whatever your ultimate goal and vision, if you want to double or triple your income. If you want to climb the Network Marketing ladder you must commit to high leveraged action on a daily basis. business and in life. Dave specializes in assisting people to make rapid and long-lasting change and is a leading results coach for individuals and organizations that want to accelerate their progress and produce breakthrough results. Conscious Business Owners, his trainings continually impact sales growth and performance with incredible results. 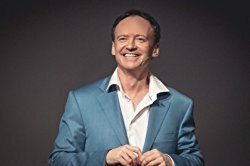 He teaches entrepreneurs from a holistic perspective, encouraging them to stretch far beyond their self-imposed boundaries and as a result his expertise extends to all areas of his clients’ lives – physically, emotionally and professionally.